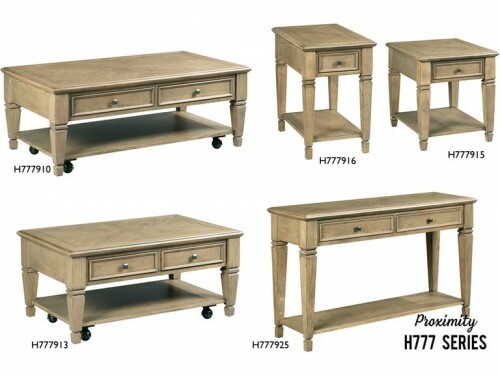 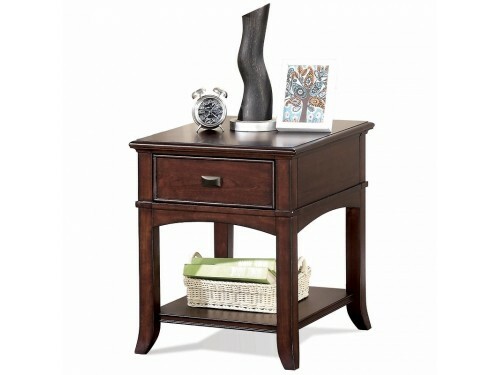 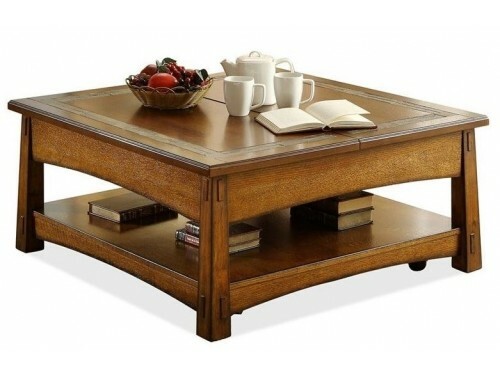 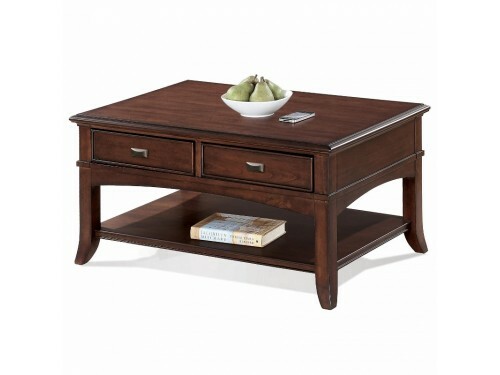 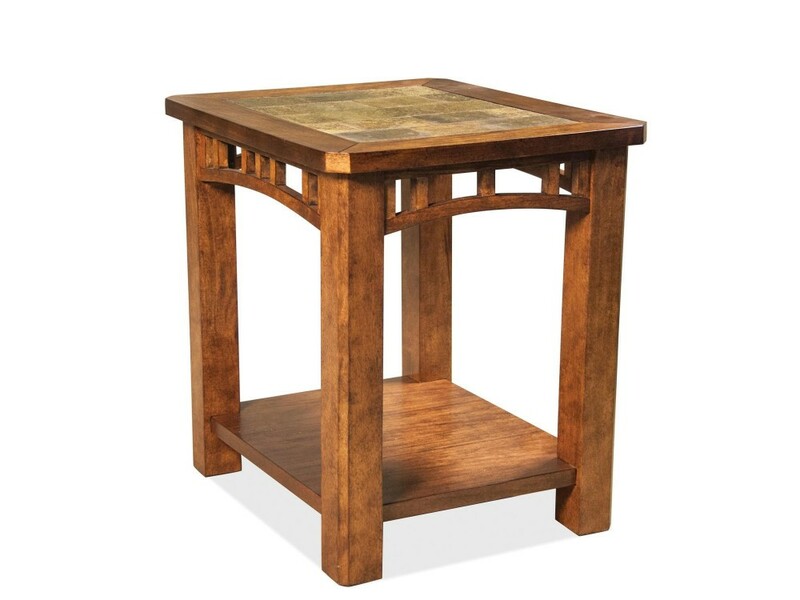 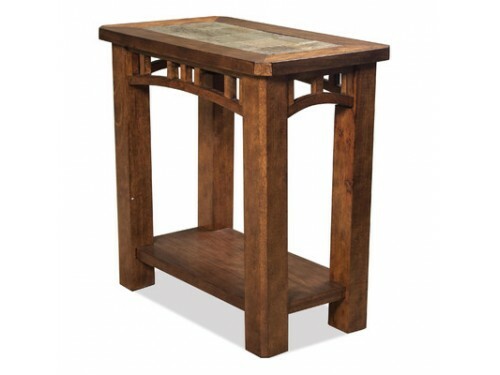 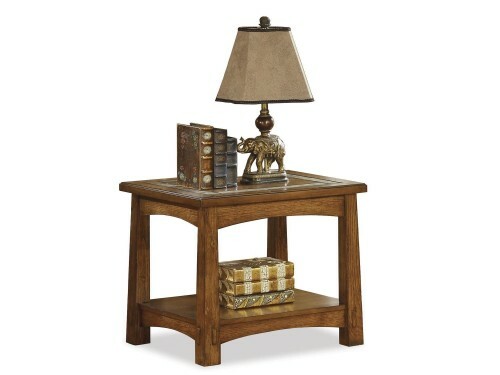 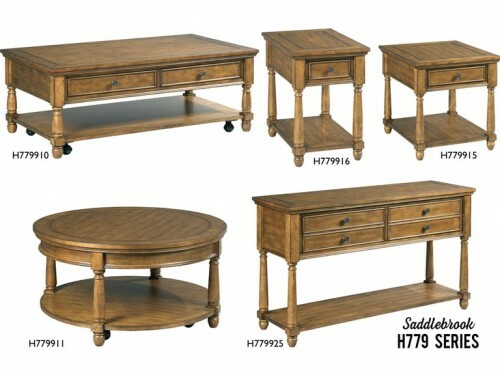 This Side Table is part of the Preston Collection by Riverside Furniture. 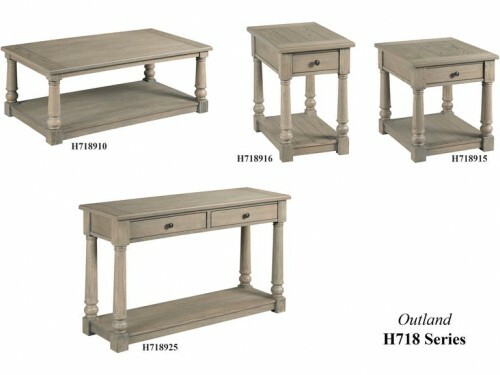 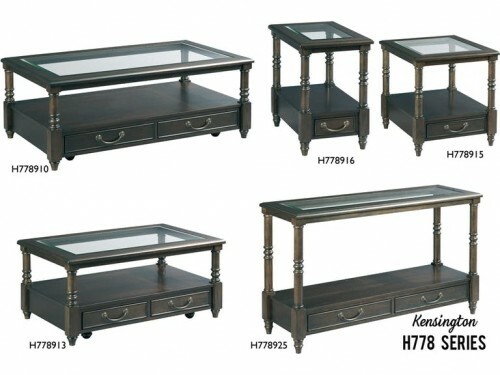 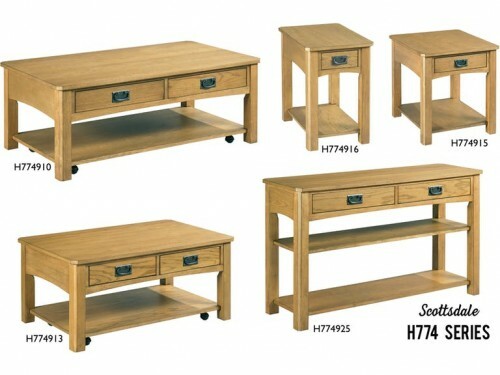 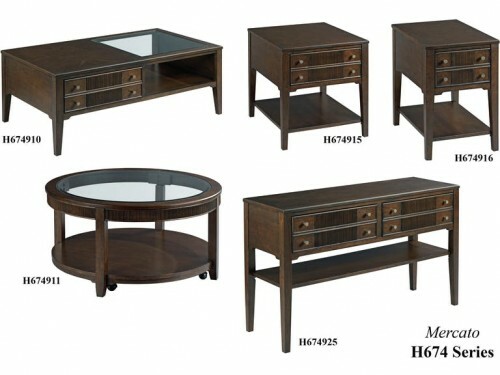 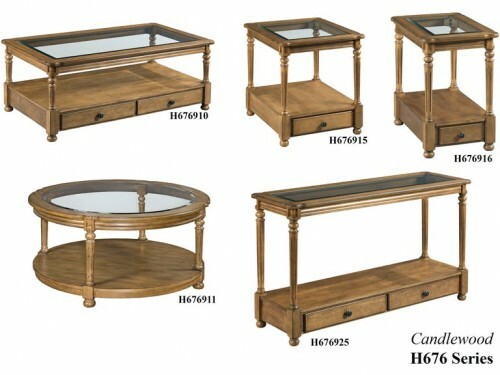 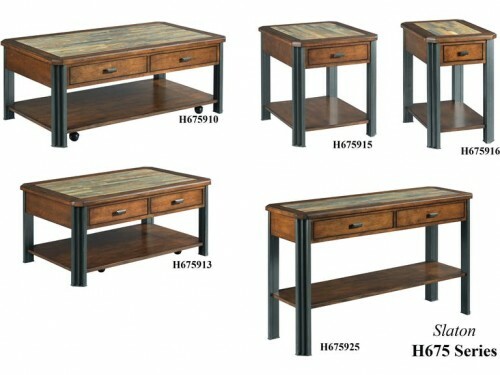 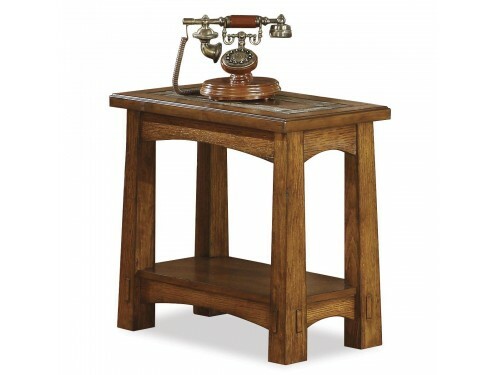 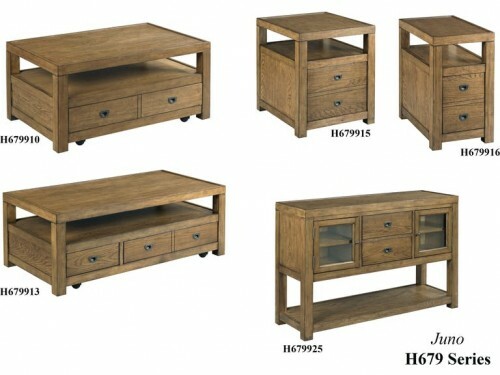 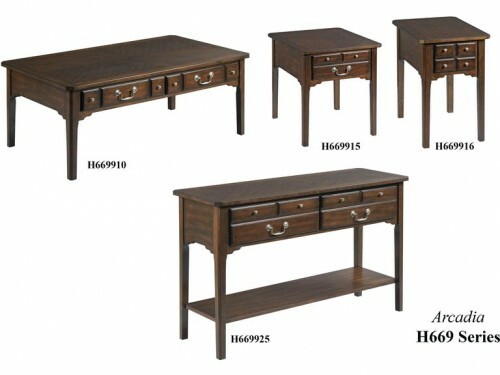 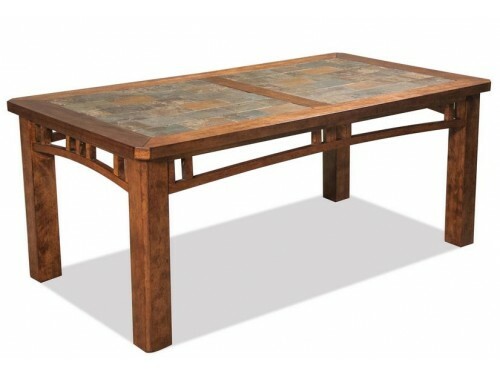 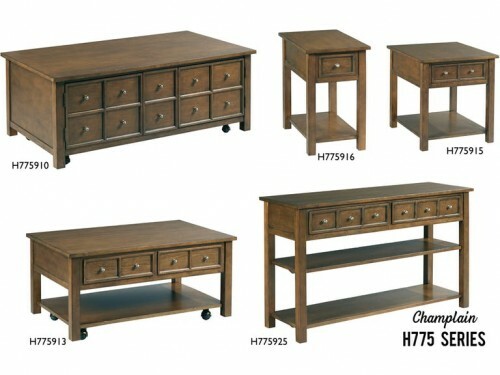 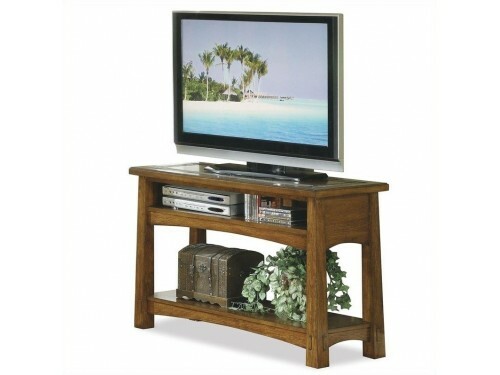 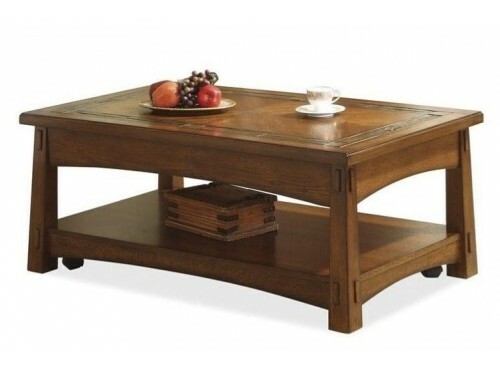 The table is constructed of hardwood solids and has a Burnished Oak finish. 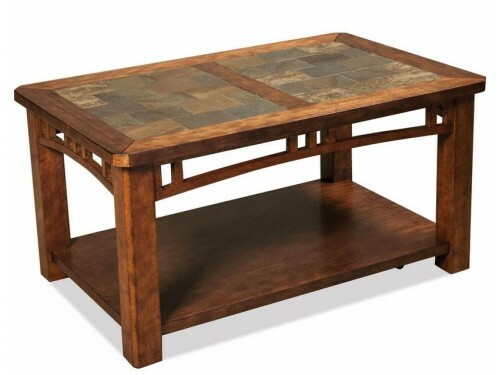 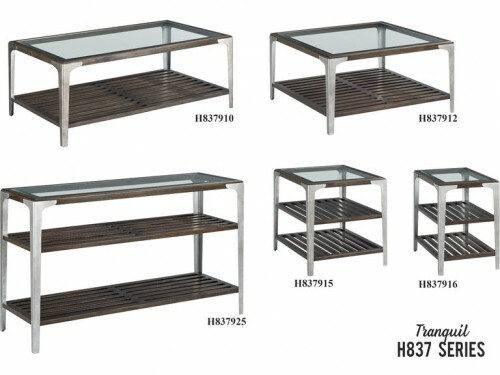 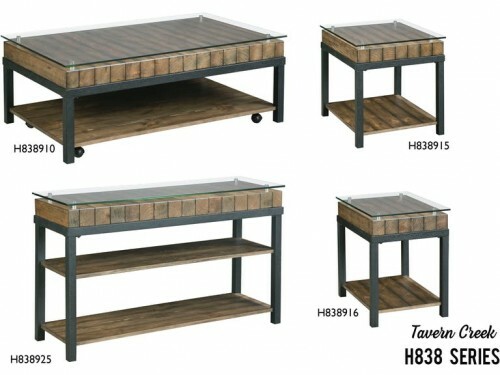 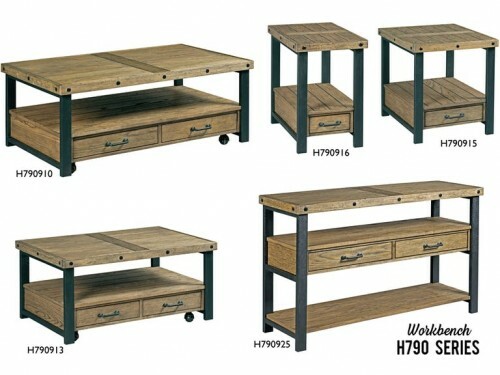 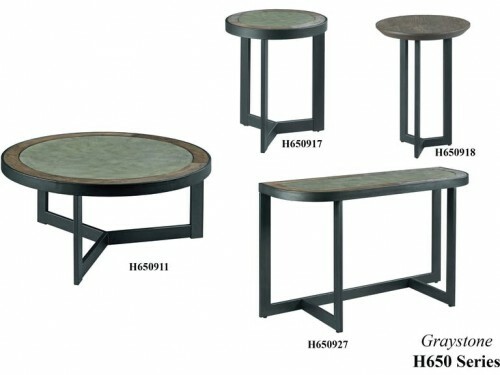 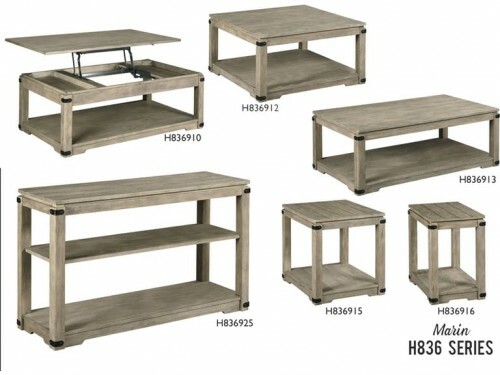 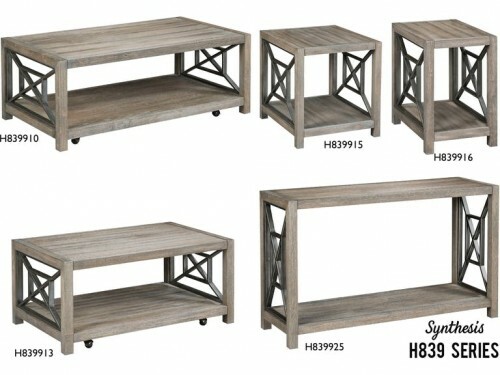 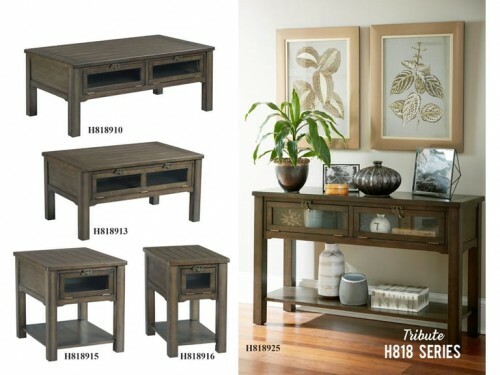 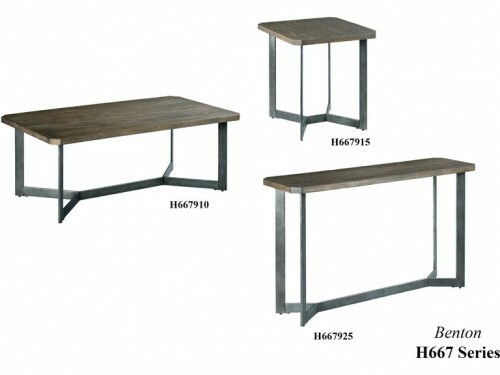 The table features a fixed bottom shelf with a framed top with natural slate inserts. 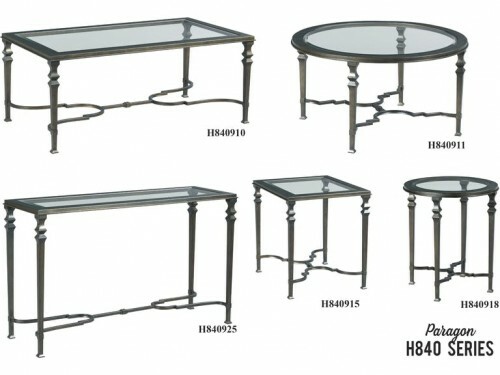 Dimensions: 20.00"W X 24.00"D X 24.00"H.